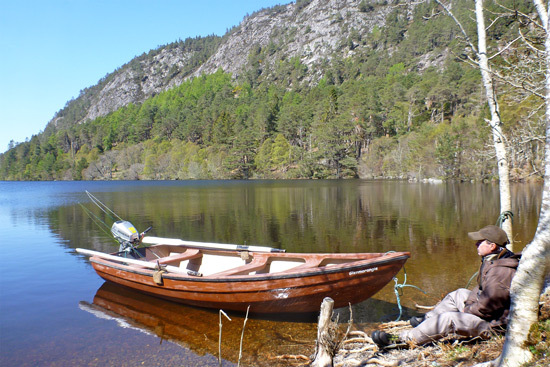 Loch Migdale is a 120 hectare (253 acre) tree-lined loch lying at an elevation of just 36m (118ft) above sea level, above the village of Bonar Bridge at the western end of the Dornoch Firth. The loch runs broadly east-west for a total length of 1.8 miles (2.9 km), and is typically 250-600m across in width, narrowing towards its eastern end. As the loch narrows, it also deepens, reaching a maximum depth of about 50ft (15m). Approximately 70 acres of the loch has a depth of 10ft (3m) or less. The north shore is predominantly deciduous while the south is swathed in coniferous plantation. It is fed by one major burn at the western end, and the outflow is via the Spinningdale Burn to the Dornoch Firth. The predominant wind is a westerly, so long drifts along the north and south shorelines are generally easily maintained and produce the best results. Bank fishing can also be very productive. 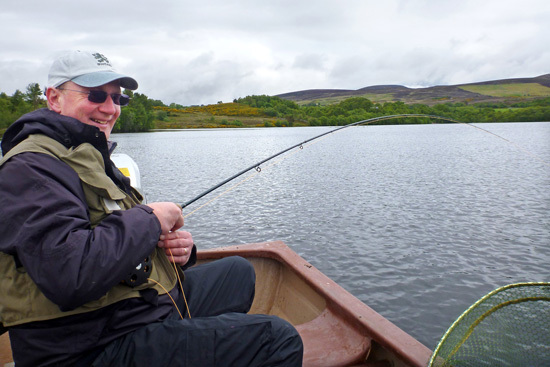 In a good wave, trout will rise throughout the loch and can provide exciting sport. 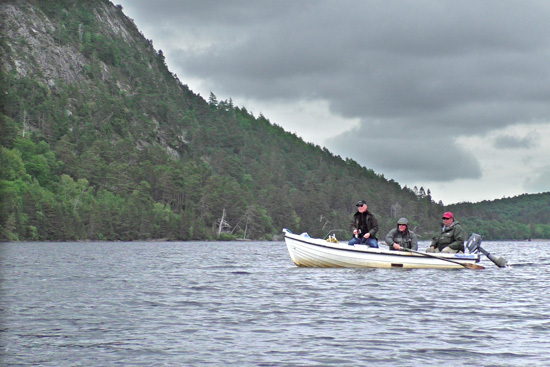 In these conditions, an electric or petrol outboard and drogue are essential for safety, control and catching fish! 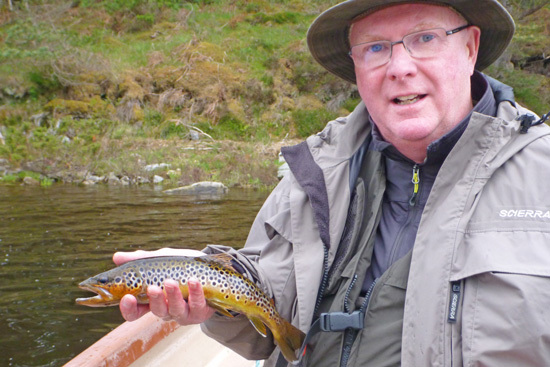 Migdale trout are generally ½ to ¾ lbs in size, but better fish are fairly common and there are usually a handful of specimen fish caught each season, the best in recent years weighing in at over 7 lbs. 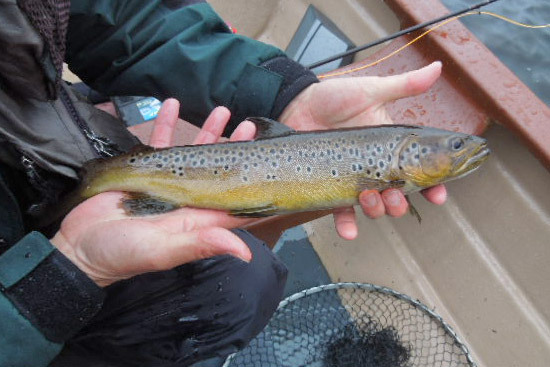 "The trout are well-conditioned from opening day, generally stocked up on snails (try Black and Peacock, Bibio and Ke-he) and sticklebacks (Silver Invicta or Bloody Butcher). 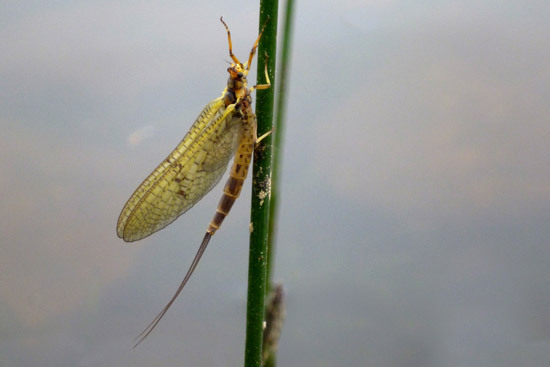 Mayfly are in evidence from late May through to July, a steady but long hatch. 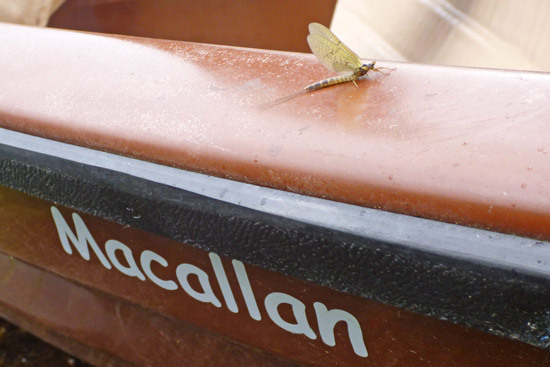 Green Drake for adults and Olive Bumble for spent mayfly are most effective. Caddis, sedge and stonefly all make appearances throughout the season but are more prevalent towards the latter end. Green Peter, Invicta or your favourite winged wet provide sport. 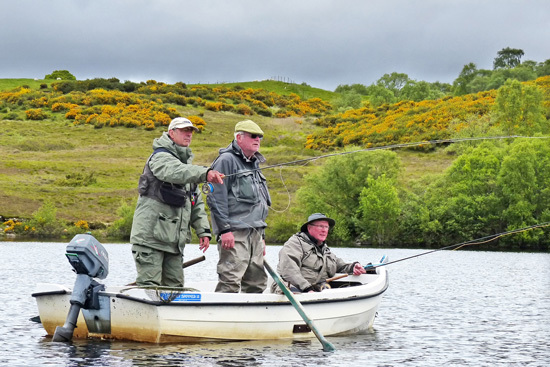 Terrestrials such as Daddy-long-legs and Heather-flies give action to wading anglers. Floating lines only are required from the shore and also provide the more exciting sport from a boat. 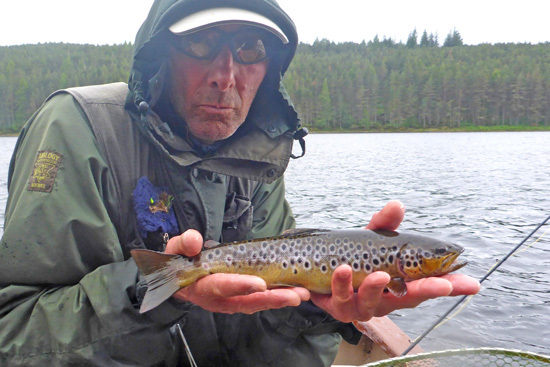 Good fish, however, may be drawn from greater depths and it is well to have the option of intermediate and sinking lines."